Minister for Sport and Civil Society, Mims Davies, will be a keynote speaker for Elevate’s Thought Leaders’ Conference. Elevate, the UK’s leading trade event for physical activity, health and performance, takes place at ExCeL London on May 8-9, 2019. The Minister will open Elevate’s Thought Leaders conference, ahead of two days of stimulating debate and critical discussion around the key challenges facing the health, wellbeing and physical activity sector. The government’s Sporting Future strategy, published in December 2015, set out a radical new vision for sport and physical activity, placing five key outcomes at its heart - physical wellbeing, mental wellbeing, individual development, social and community development and economic development. It was a bold new strategy for an active nation and marked the biggest shift in Government policy on sport for more than a decade. 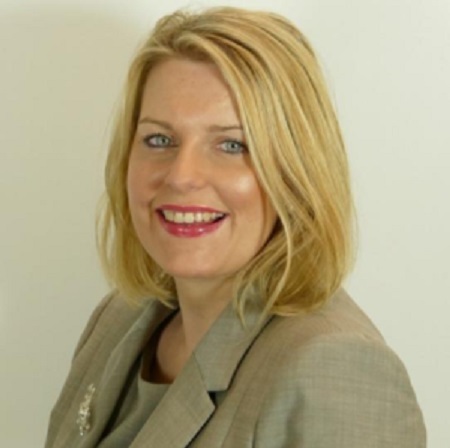 In February 2019, Mims Davies made a Written Ministerial Statement to Parliament in which she outlined progress that had been made since the publication of Sporting Future but also priorities for the future. In her keynote speech, Mims Davies will highlight these priorities and how we achieve them through cross-government working. Furthermore, the Minister will discuss the transformative power of physical activity – for physical and mental health, improving employment and educational outcomes and its potential for bringing together communities. Joining The Minister at the Thought Leaders’ Conference, sponsored by PayAsUGym, include leading industry names such as Professor Dame Sally Davies, UK Government’s Chief Medical Officer, Tim Hollingsworth, Sport England Chief Executive Officer, Mark Perkins, Invictus Games Team UK Captain, James Sanderson, Director of Personalised Care at NHS England, Nico Heslop, Head of Sport at DCMS, Liz Nicholl, Chief Executive at UK Sport, Nigel Walker, National Director at English Institute of Sport, Justin Musgrove, Chief Executive at Bannatyne Group and former Welsh international rugby player, Gareth Thomas. Alongside the speaker programme, Elevate once again boasts an impressive range of 350+ exhibitors who will showcase their latest products aimed at positively contributing towards decreasing physical inactivity levels, to the 10,000 plus expected attendees. The lead supporters for the 2019 trade event for physical activity, health and performance play a significant role in creating engaging content for the Elevate programme of events. These supporters including ukactive, CIMSPA, London Sport, Public Health England, Sport England, UK Sport, ISEH and the Chartered Society of Physiotherapists. Max Quittenton, founder and director of Elevate, said: “We are delighted to have Mims Davies confirmed to speak during the Thought Leaders Conference.